As a result of the impact of consumerization from the end users, companies have moved towards a multifaceted application integration landscape with zero performance issues. For a rich user-experience, it is imperative for organisations to invest in performance and quality testing, which aids them to meet the expected software performance standards. A type of non-functional testing, software performance testing services evaluates, anticipate and manage software performance at backbreaking conditions. It also tests the stability, speed, and scalability of an application under a specific workload and ensures superior quality performance. Apart from figuring out the speed aspects of a system under a specific workload, tailor-made performance testing solutions is also used to reveal that the developed system meets the performance standard and criterion. By offering the stellar application experience in the production, performance testing company reduce the adverse business effects for you. For a greater customer satisfaction, Specialist Company provides the improved version of performance and security with the efficient testing services. The unmatched testing method, which is an outcome of varied expertise work, provides key indicators and aids to detect any error and inaccuracy at an early stage, thereby, resulting in pro-active decision making. Their performance engineering framework enables implementing the techniques, right tools, and models, heightens performance dashboards and implementing supreme strategies for performance improvements. The comprehensive approach of expert Performance & Load Testing Services provider also helps track server-side, client-side, and application-side statistics helping systematize application performance. In order to make the best, expert QA firm also chooses the right tool to test a software performance by complying with the process of the specific product. Based on the factors like test execution, planning, data comparison, and bug capture, software performance testing tools can be categorized into Source Code, Functional, Embedded software, Database and Bug Tracking Tools. These tools play a critical role in testing the performance and accuracy of the software. You can leverage the services to monitor the performance based on diverse parameters (throughput, response time, Memory Usage, Disk I/O, and Network I/O etc.) and get accurate inputs for fine tuning the performance. 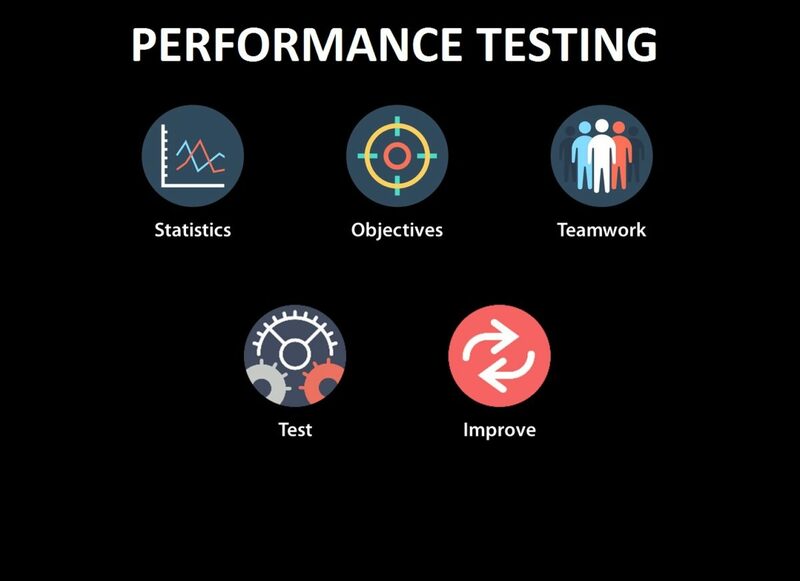 The highly skilled & experienced performance test engineers will provide a detailed and performance cycle testing using the holistic and unique approach on all platforms covering different aspects. Performance testing services and solutions are realistic & powerful and cater to met various business requirements.